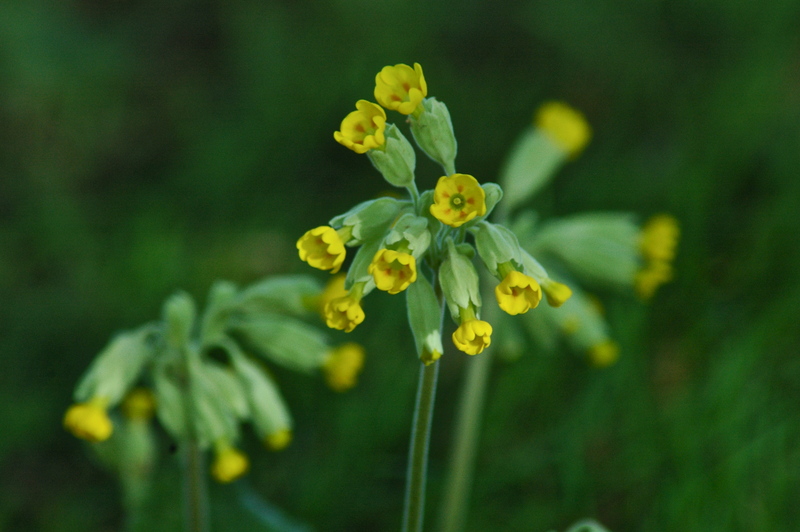 If you are lucky enough to have cowslips growing in your garden or nearby, nurture them. These small, quirky relatives of primroses aren’t so common nowadays, and they carry with them the peace and slower pace of a more rural past – and a few related health benefits. The garden around the Studio is old farmland, and so the cowslips never really left it. But it’s easy enough to sow seeds in any garden and wait for them to appear. Herbalists use cowslip flowers and roots as a nervine, to relax and calm; to help dispel chesty coughs and nervous headaches; and to promote restful sleep. Collect the flowers between March and May, and the roots before flowering time, or in the autumn. Add the flowers to herbal teas; or make a decoction of the dried root: 1 teaspoonful to a cup of water; bring to the boil and simmer gently for five minutes. Then drink three times a day. The tiny, sweet tasting flowers are a really pretty addition to salads; you can eat the young leaves too, though we have yet to try them here. In the old days, many households made their own delicious cowslip wine from the flowers, which helped to clear winter coughs and was a popular night cap. But the best reason to grow them is probably just to look at them. Each flower is a tiny trumpet of five connected vibrant yellow hearts. Gaze into one, and take three deep breaths, and you will receive a small but potent dose of happiness, I guarantee. wonderful inspiration – thank you. Thank you for your kind comments, Barbara. I agree with you about reading something thoroughly to focus on it and fully absorb the energies – in this case, the healing energy of a beautiful plant. Reading, or simply gazing at the picture of the cowslip, becomes a meditation in itself.